For the last several months, the focus of IASOA has been on the topic of how IASOA observations can support, and be supported by, the Year of Polar Prediction. 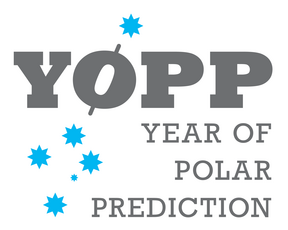 The Year of Polar Prediction (YOPP) is a component of the Polar Prediction Project (PPP). The PPP is an "....endeavor of the World Meteorological Organization’s (WMO) World Weather Research Programme (WWRP) which aims to promoting cooperative international research enabling development of improved weather and environmental prediction services for the polar regions, on time scales from hours to seasonal". The IASOA stations have been selected as YOPP Super Sites and will be the locations over which models will be collecting high resolution, model time-step data during a series of special observing periods. The IASOA consortium is currently participating by coordinating with modelers to develop observation-based data sets that will be readily comparable to these special model data sets for a number of verification, process evaluation and diagnostic studies. Note: This effort is not only to provide a service to the modeling community, but also so that the IASOA consortium can take full advantage of the special modeling data sets that will be produced over IASOA sites to better understand the evolving Arctic system. T-MOSAiC is the Terrestrial Multi-disciplinary Observatories for Studies of Arctic Connections. It is a complementary project to the MOSAiC, Multi-disciplinary Observatory for Studies of Arctic Climate. The primary science question being addressed by T-MOSAiC is "What are the implications of changing sea ice, oceanography, and climate of the Arctic Ocean for the surrounding land-based geosystems, ecosystems, and human systems?" IASOA atmospheric measurements and scientific expertise are contributing to a system science approach of developing a cross-disciplinary view of the evolving Arctic.